I thought that the conventional wisdom was that sons turned into their mothers. It seems that, on the other hand, I’m turning into my mother-in-law. We’re different in profound ways, of course—though we both love her daughter—but I’m discovering that when it comes to watching sporting events in which we’re heavily invested, I’m picking up her mannerisms. It used to be that I was the only person I knew who could happily watch a sporting event on my DVR. I’d record the game, stay off social media, and watch it later, skipping through the commercials. I’ve heard, time and again, that live sports are the only kind of television that’s “DVR proof,” that viewers lose the communal excitement that comes with watching a game at the same time as the rest of the country. I never found that I lost any of the excitement. I could get just as worked up hour later, as long as I didn’t know the outcome. The time lag never bothered me. My mother-in-law never watches sports live, either, but for a totally different reason. Whereas I simply didn’t want to have to sit through the commercials, she actually didn’t want to experience the emotional rollercoaster that comes with watching sports. So, we’d both record a game (say, a LeBron James basketball game for me and a University of Oregon football game for her) and wait until later to watch it. But while I’d stay off the internet, hoping not to spoil my viewing experience, my mother-in-law specifically finds out what happened in the game, and then only watches if her team won! For years, I viewed this as a betrayal of everything sports is about. It’s about the ride, I’d argue, and if you lose that…well, why watch? But now I’m doing exactly the same thing. 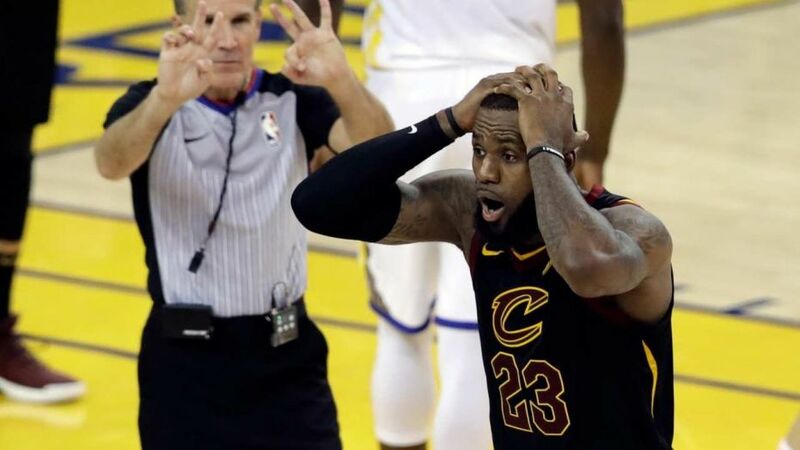 LeBron James is about to (probably) get swept out of the NBA Finals by the Golden State Warriors. In fact, by the time you read this, it may well have already happened. But guess what? In these playoffs, a spring and summer in which his Cavaliers defeated the Indiana Pacers and the Boston Celtics in seven games and are about to lose to the Warriors in four, I’ve never seen the Cavs lose. It goes back into the regular season, too. 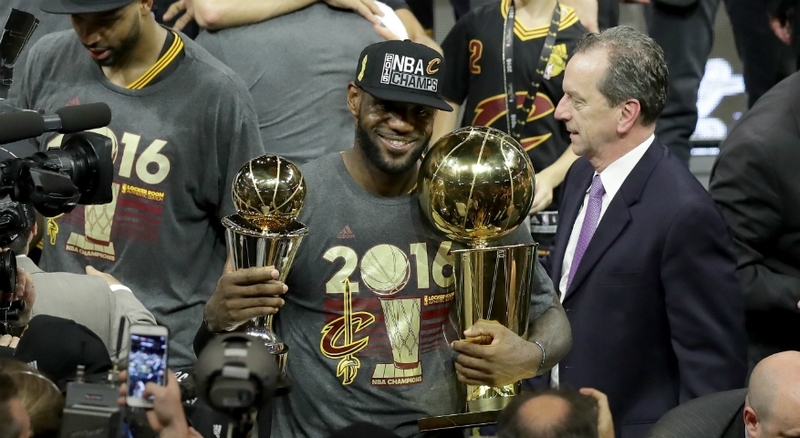 The Cavs had a tough season, making significant trades, losing over thirty games, and finishing fourth in the their conference, despite having the best player in the world (and either the first- or second-best player of all time—come at me) on their team. I haven’t seen the Cavs lose since around Valentine’s Day. I record the games, find out what happens, and only watch the wins. Okay, I’m exaggerating a bit. I’ve watched almost all of the games in these Finals. But I don’t want to watch the losses, and I still find out what happens in advance. What’s happening to me? Am I a sports fan? Am I broken? True gospel preaching hits a strong discordant note. God's love for us is very unlike what we usually conceive as love—it strikes against our sensibilities, is startlingly unromantic. Above all, it forgives, and right in the midst of the offense. Does it have power to change the world? Well, it made the world, and makes it new—but here the contrast, because the world wants no part of that…To present Jesus as dying for us without also noting that we did not want this bizarre gift (indeed, we effected the dying part) is to bury the lede. We do not want to be forgiven. Rather, we want to be in a position to say, “Thanks, I'm sure it's lovely, but I don't need that.” But to be forgiven by God, and so raised in Christ, is to be reduced to nothing in ourselves. A true sermon needs to kill its hearers…else it remains just a lovely speech. No choices left to make, no goals left to accomplish, no future to live into. A preacher is an executioner. “A preacher is an executioner.” Incredible, and I couldn’t agree more. But no one wants to be executed! We will do anything to avoid laying our necks on that bloodstained block. So what do we do? Most of us obey the urge to simply find someone who will tell us what we want to hear. And not just in church…this is our natural state. So I spare myself the emotional rollercoaster—and the risk—of living and dying with a basketball team. I find out what happens in advance. If the guillotine comes down, I excuse myself. In this way, I can trick myself into thinking that my favorite team never loses a game. In the same way that I can’t handle a simple truth—LeBron James loses basketball games—people in pews can’t handle it either. When a preacher tells me that I’m a sinner in need of a savior, I get my back up. I say, as Adam suggests, “Thanks, I'm sure it's lovely, but I don't need that.” I don’t want to be reduced to nothing. I need a preacher who will give me what I don’t want. I need an executioner. I need, every week, to have done to me what was done at my baptism: I need someone to bury me with Christ, and to raise me to new life in him. I’ll be watching on Friday night as the Warriors likely sweep that Cavs and win the championship. I need to see it. I need to see my favorite things die. It won’t be pleasant. But confession never is. Thank God, we have been offered comfortable words in face of uncomfortable truth: “If we say we have no sin, we deceive ourselves, and the truth is not in us. If we confess our sins, he is faithful and just to forgive us our sins and to cleanse us from all unrighteousness” (1 John 1:8-9). LeBron James will lose. You will, too. Our favorite things—up to and including our own self-sufficiency—will die. In Jesus, though, we are raised to a new life where there is only victory. A victory which is Christ's alone.